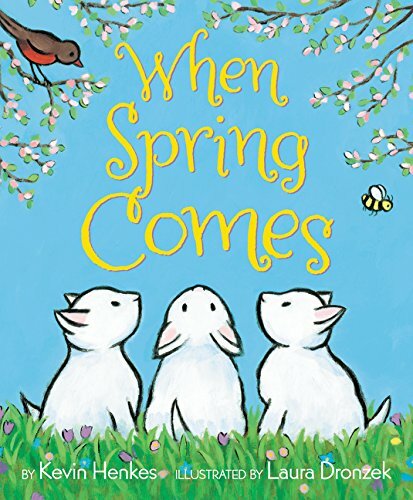 For 30 years Susie Wilde has been reviewing children’s books for various media (including her monthly column in this section), hosting workshops for teachers and would-be writers of children’s books, working with students in classrooms, libraries and community centers. 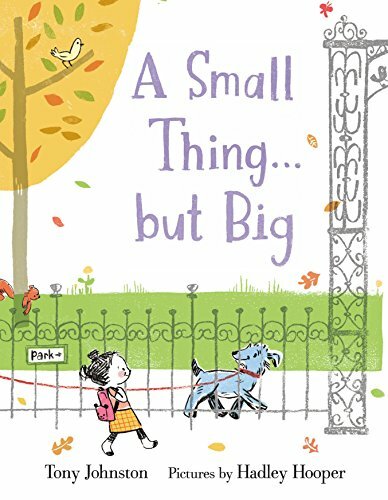 For the past 20 years, she has presented her Wilde Awards, which recognizes the diversity of voice, characters and plots in 2016’s best picture books and novels. The list is a good place to start when you’re considering books as gifts this holiday season. Here is a sample of her suggestions. “123 Dream,” Kim Krans (Random House, ages 1-3): Plants and animals weave in and out of numbers from 1-20. 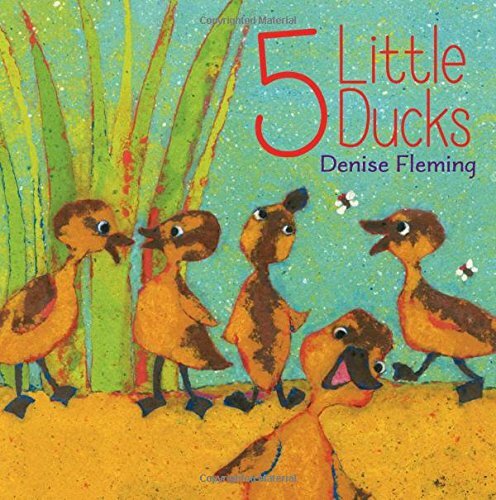 “5 Little Ducks,” Denise Fleming (Simon and Schuster, ages 0-2): Large clear illustrations, animals to name, and embedded days of the week renew the classic song. 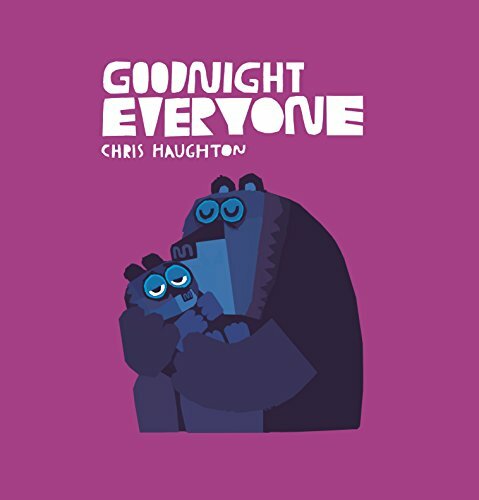 “Goodnight Everyone,” Chris Haughton (Candlewick, ages 0-3): A wakeful little bear settles into sleep amid yawning friends, soft colors and a lulling text. 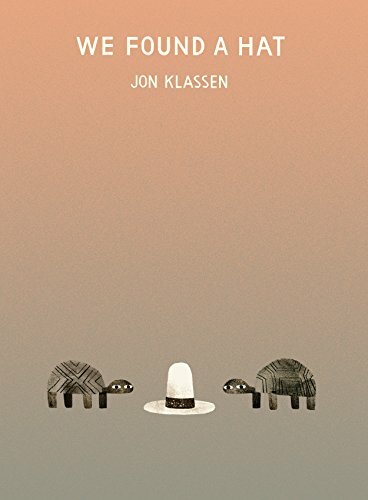 “We Found a Hat,” Jon Klassen (Candlewick, ages 2-4): The satisfying end a picture book trilogy as two turtles come upon a hat they can’t share. The text is simple, but complex feelings leave lots of room for discussion. “When Spring Comes,” Kevin Henkes (Greenwillow, ages 2-5): Laura Dronzek’s rich vibrant colors pair perfectly with her husband’s thoughtful, lyrical picture of spring. 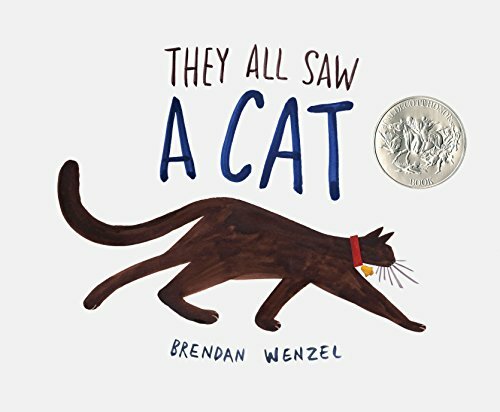 “They All Saw a Cat,” Brendan Wenzel (Chronicle, ages 3-6): Creatively imagined artistic renderings show creatures’ differing perspectives of a cat – from a blurry fish’s view to the forest of hair seen by a flea. 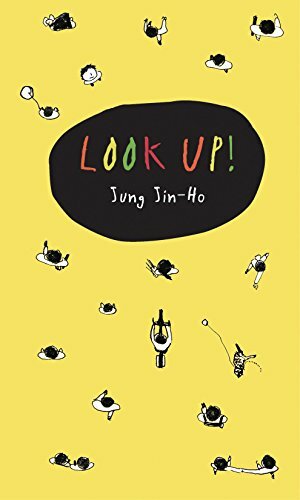 “Look Up!” Jung Jin-Ho (Holiday House, ages 3-6): A young girl in a wheelchair lives high above the street and longs for relationship. Few words and minimal colors accent the stunning perspectives. 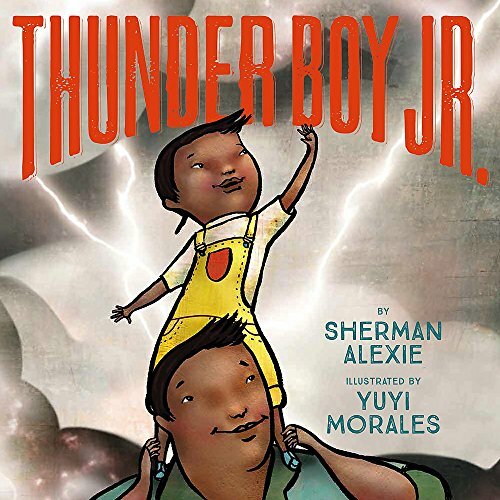 “Thunderboy Jr”, Sherman Alexie (Little Brown, ages 3-6): The author blends his lyrical words, strong rhythms, Native American sensibilities, humor, and warmth in the story of a young boy who wishes his name were different. 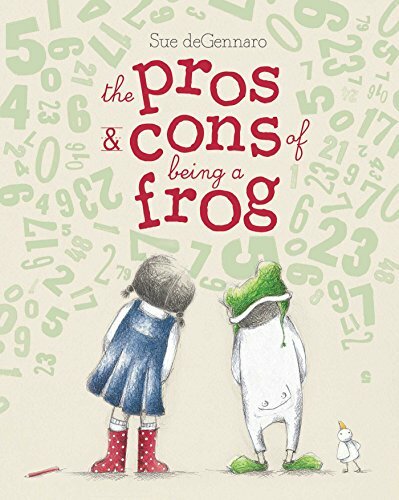 “The Pros and Cons of Being a Frog,” Sue deGennaro (Simon and Schuster, ages 4-6): Unusual illustrations and curious conflicts express the relationship of two quirky friends – one who loves costumes and the other adores numbers. 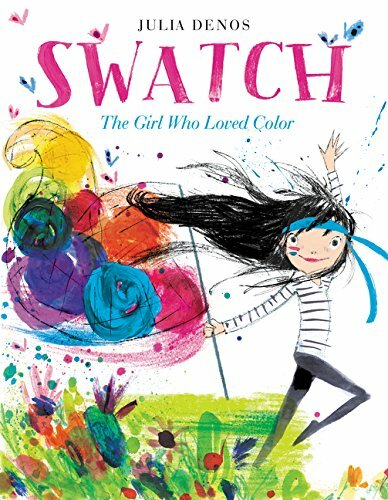 “Swatch, The Girl Who Loved Color,” Julia Denos (Balzer and Bray, ages 5-8): This fable stars a young color captor who learns how inspiring freedom can be. Energetic hues and vibrant words dance across pages. 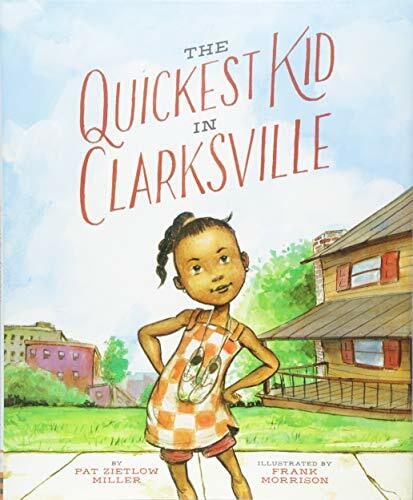 “The Quickest Kid in Clarksville,” Pat Zietlow Miller (Chronicle, ages 5-8): Sassy Alta prides herself on running like hometown champion Wilma Rudolph. Especially competing with Charmaine who struts “hard enough to shame a rooster.” The strong voice reflects the power of young heroines whose pride yields to collaboration. 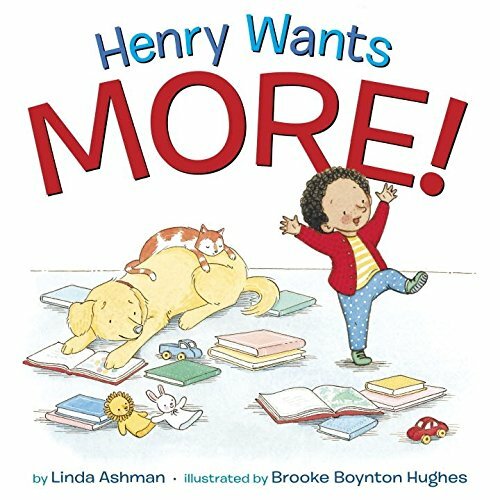 “Henry Wants More”, Linda Ashman (Random House ages 2-5): Toddler Henry is endlessly busy. His father lifts him overhead, grandmother plays songs, big sister teaches finger plays and big brother pulls Henry in a wagon. At the end of each activity, Henry utters the universal toddler words, “MORE!” or “AGAIN!” These appear in large red letters, complete with exclamation points, measuring his ebullience. 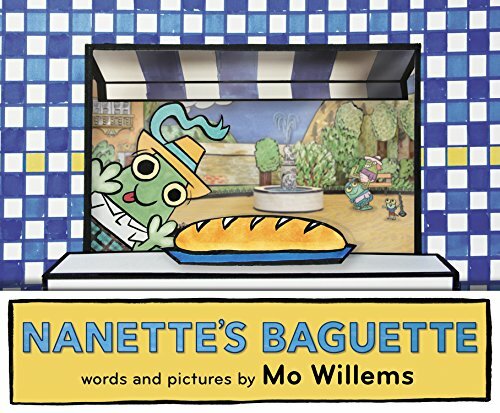 “Nanette’s Baguette,” Mo Willems (Hyperion, ages 3-6): Nanette’s is off to fetch the family baguette for the first time…can she resists its warm, wonderful smell? 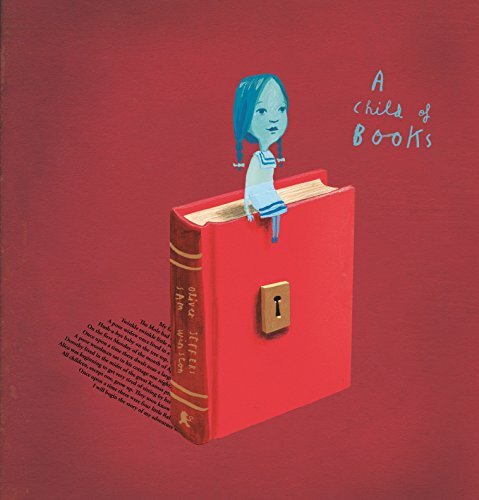 Willems shows his perfect pacing, mastery of rhythm and rhyme, wordplay and emotions of children. 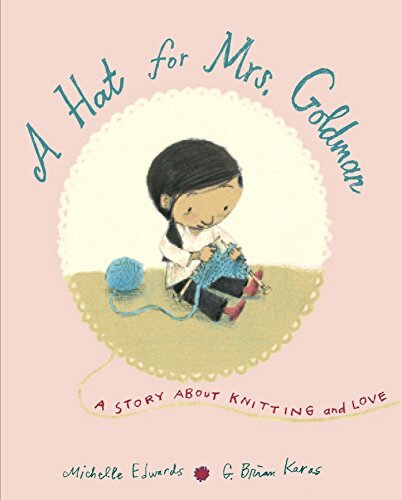 “A Hat for Mrs. Goldman,” Michelle Edwards (Schwartz and Wade, ages 4-8): Generous Mrs. Goldman has always kept Sophie’s keppie (head) covered with knitted hats. She’s taught Sophia about knitting and good deeds and Sophie puts those into action to return the favor. Her awkward path is ultimately warming. Two collections of illustrated collections serve children’s core knowledge: “The Land of Stories: A Treasure of Classic Fairy tales Chris Colfer (Little Brown, ages 3-7) has 24 early nursery tales and 13 rhymes. “Gris Grimly’s Tales from the Brothers Grimm,” Jacob and Wilhelm Grimm (Balzer and Bray, ages 6 and up) illustrates retellings of 40 tales. 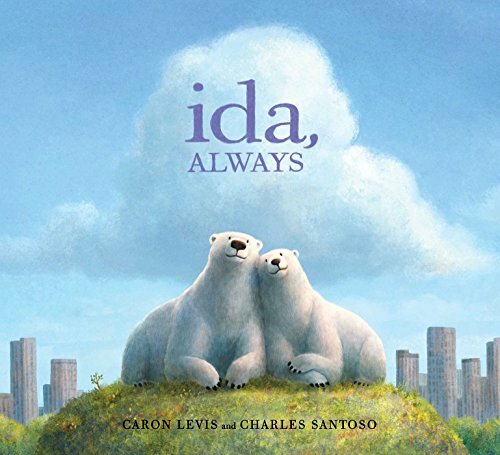 “Ida, Always,” Caron Levis (Atheneum, ages 6 and up): A tenderly-told story about two loving polar bear friends, inspired by real bears who lived in New York’s Central Park Zoo. Death is handled with grace and gentleness. 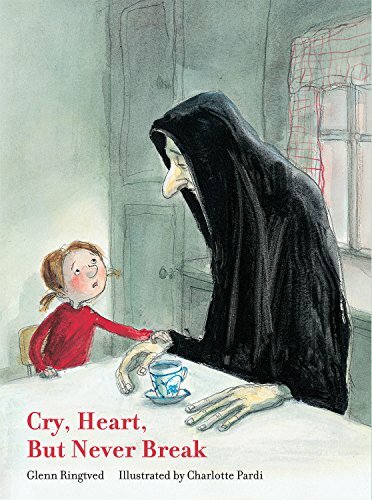 “Cry, Heart, But Never Break,” Glenn Ringtved (Enchanted Lion, ages 7 and up): When Death figure visits four sorrowing children whose grandmother is dying, he is wise and his heart is beautiful as a sunset and “beats with a great love of life.” Emotional art and tender words explain how death is necessary for new life. 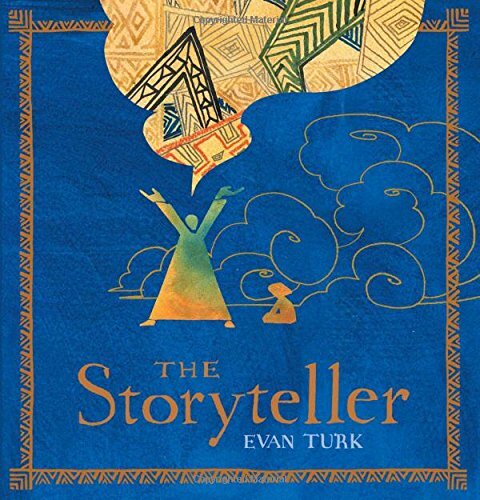 “The Storyteller,” Evan Turk (Atheneum, ages 8 and up): In a desert setting, a storyteller begins a Scheherazade-like tale for a thirsty boy. The fables are linked in celebrating the life-giving forces of water and storytelling. The artist-illustrator uses color as symbolically as words. 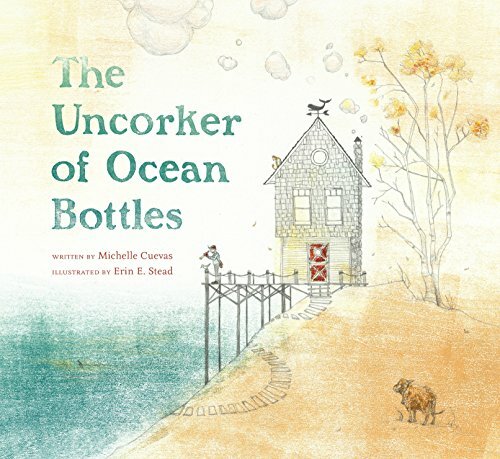 “The Uncorker of Ocean Bottles,” Michelle Cuevas (Dial, ages 5-8): High above the ocean lives a man who watches for “a glint of glass” so he can deliver messages from bottles that are as dear as “the treasure of a clam-hugged pearl.” Erin Stead’s art and sea imagery enrich the layers of this tale. 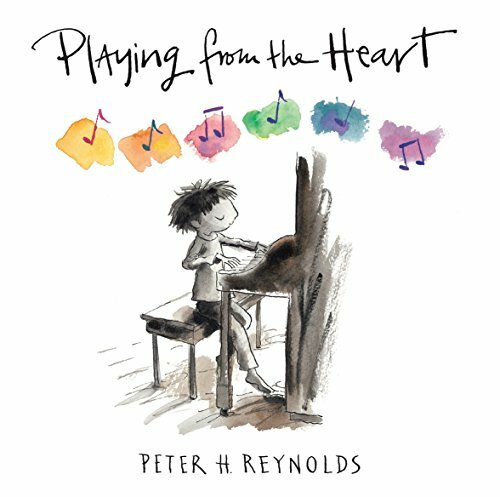 “Playing From the Heart,” Peter Reynolds (Candlewick, ages 8 to adult): In another creativity fable, piano-passionate Raj improves in piano technique, but loses enthusiasm when his father hires a teacher. Flash-forward in time and Raj is called to his father’s bedside. The ailing man’s request for “the song without a name” frees Raj to play from the heart. 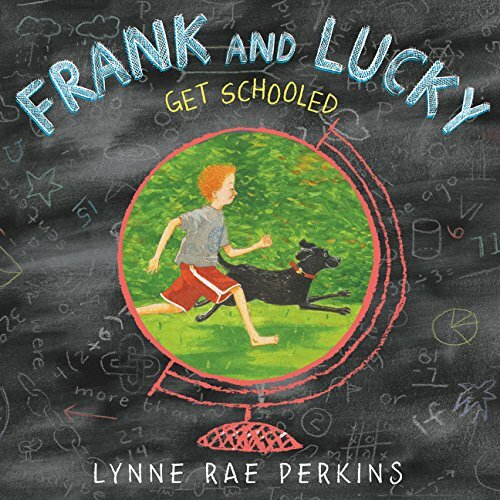 “Frank and Lucky Get Schooled,” Lynne Rae Perkins (Greenwillow, ages 8 and up): Frank and his dog Lucky learn chemistry, math, history and more from the world. The book is astounding in its expression of the connection of and passion for learning. 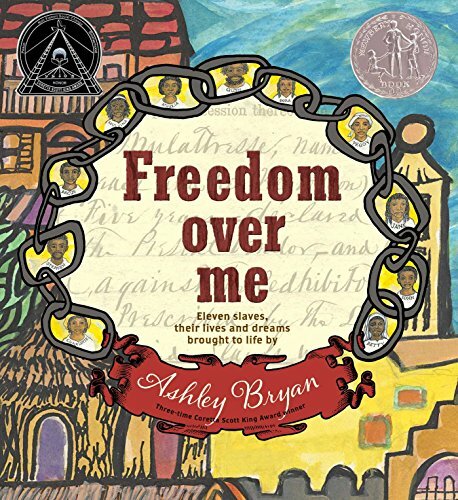 “Freedom Over Me,” Ashley Bryan (Atheneum, ages 9 and up): Mrs. Mary Fairchilds’ is selling off slaves, her actions cold and calculated. A poignant contrast Bryan reveals the shattered past and future dreams of 11 slaves, identified by age and the price. Stunning art increases the power of their narratives. 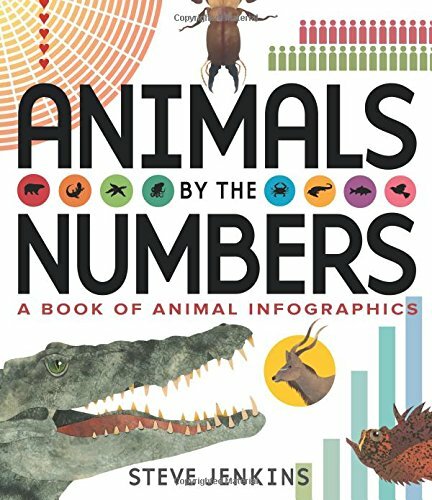 “Animals By The Numbers: A Book of Animal Infographics,” Steve Jenkins (HMH, ages 6 and up): Math, animal and information lovers will be thrilled by visually-engaging graphs and charts that measure everything from the length of animals lives to their horns. 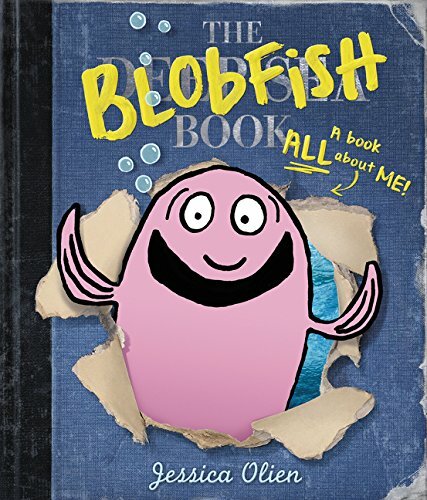 “The Blobfish Book,”Jessica Olien (Balzer & Bray, ages 5-8): The author-illustrator blends fiction and nonfiction, photographs and cartoons, as a take-over blobfish liberally edits the book with red markings, photobombs and continual commentary. “Fabulous Frogs,” Martin Jenkins (Candlewick, ages 3-6): Jenkins’ simple text pairs with Tim Hopgood’s excellent illustrations to intrigue young children with facts about frogs’ size, appearance, habits and habitats. “Giant Squid,” Candace Fleming (Roaring Brook, ages 4-8): Eric Rohmann’s dark illustrations mimic the author’s detailing of “strange and fearsome” creatures that lurk in the “sunless sea, deep, deep in the cold, cold dark.” Strong sensory maintain a mysterious quality in this compelling nonfiction.